One of the central principles of the Anticipatory Organization Model is to move beyond the idea of mere competition. By that, I mean going past the idea of measuring your organization’s success and performance against others. Instead, set your own standards through transformational planning and ongoing innovation. 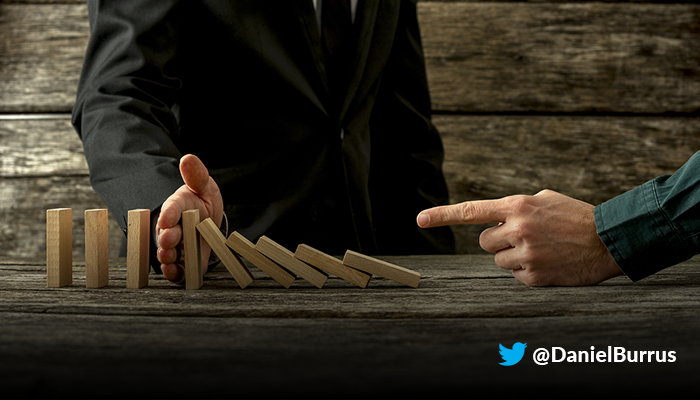 In so doing, you redefine the concept of risk management. First, by avoiding risks, many organizations effectively limit the sorts of significant opportunities that naturally mandate a degree of risk taking. Second, risk can be effectively anticipated and managed by using several elements of the Anticipatory Organization model. In effect, you can completely redefine risk management and move forward with great confidence and certainty. That starts with identifying both Hard Trends—those things we know for certain will occur in the future—and Soft Trends, which are future maybes and open to influence. Let’s map out a scenario along those lines. Let’s say you want to develop a smart watch, an area that’s already overloaded with both ideas and competitors. On the surface, that would seem like a very high-risk venture. But you can leverage Hard Trends to better manage that risk. For instance, it’s a definite Hard Trend that people are living longer and longer. And as they do, the need for comprehensive, responsive health care is also growing—yet another Hard Trend. Ambulances can now transmit patient data en route to the hospital. What about designing a smart watch that does this for patients who need to go to the hospital but don’t require an ambulance? The app could transmit blood pressure, blood oxygen levels and other vitals en route. It also effectively reduces the risk associated with introducing a new product into an already crowded marketplace. As our example illustrates, leveraging hard and Soft Trends to your advantage mitigates the risk that many organizations consider a deal killer when it comes to innovation. Using both kinds of trends allows you to disrupt with low risk—or at least much lower risk—uncovering opportunities that allow your organization to leap far ahead. Ultimately, these are critical elements of your ability to accelerate innovation, manage risk at a much higher level and actively shape the future.